Photography | #IT — Pound It! I found the gardens more exciting than the museum. 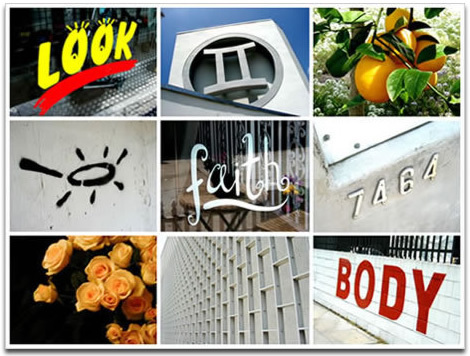 When I got my first digital camera six or seven years ago, I took a long walk down Melrose Ave in Los Angeles and just clicked away. After downloading the 200+ images, I highlighted the ones that I liked. And within seconds I randomly arranged these images into 3 throws of 3. These 9 images, combined with their positions in this 3×3 grid, make up a story that I can tell over and over again.